Thanks to crowdfunding, we've been able to back smartwatch makers, help rock legends fund the high-resolution audio player of their dreams, and even bring a long-canceled TV show to the silver screen. So why not use the deep pockets of the crowd to buy up a share of your very own sports franchise? A group of Los Angeles Clippers fans would like to do just that, and they're hoping that a million or so of their closest friends join them. A group of a half-dozen or so fans launched a crowdfunding campaign on Crowdtilt.com looking for backers to help raise the hundreds of millions of dollars it will presumably take to pry the basketball team from the hands of suspended owner Donald T. Sterling. Before you entertain visions of hanging out in the owners' suite and rubbing elbows with the likes of Mark Cuban and other basketball movers-and-shakers, though, you should realize the ultimate goal is a little more egalitarian than simply procuring a basketball team. The organizers behind the Crowdtilt.com campaign to buy the Clippers want to turn the team into a nonprofit publicly owned franchise. They outline the reasons behind that objective in this heartfelt video. Billionaires are reportedly lining up to bid for the Clippers, but the way Orange County business owner Tim Nguyen sees it, ordinary fans should have the chance to make their bid for the team too, in light of the Sterling scandal. He and a group of friends hatched the crowdfunding plan, with an eye toward turning the team into a community-owned operation. The idea isn't entirely out of left field: former presidential candidate-turned-talking head Newt Gingrich--not the sort of guy you'd peg for a power-to-the-people approach to business--wrote an op-ed calling for public ownership of the Clippers. "It's ordinary people that change the world," Nguyen told me, when we talked about the crowdfunding campaign last week. It'll take a lot of ordinary people. Any group-funded effort to buy a major sports franchise faces long odds, and not just because the respectable $53,000-plus that Nguyen and friends have taken in to date is a far cry from the campaign's total goal. There are several notable hurdles for an ambitious campaign like this that more modest crowdfunding efforts wouldn't even have to sweat. $600 million is a lot of money: Peruse a list of some of the crowd-funded efforts that raked in big bucks, and you'll see a trio of projects that brought in tens of millions of dollars in pledges; you won't find any to break the nine-figure mark. Meeting a $600 million fundraising goal would make this effort to buy the Clippers the most successful crowd-funding campaign in history and by a sizable margin. Put it this way: Star Citizen, a space simulator game from Wing Commander designer Chris Roberts, has raised more money than any other crowd-funded project--$43 million and counting. The $600 million being sought to buy the Clippers could fund 13 Star Citizens with enough left over to back seven Veronica Mars sequels. $600 million may not be enough: You and I probably would gladly accept any check with seven zeroes offered to us. But you and I do not own an NBA team in America's second-largest city. 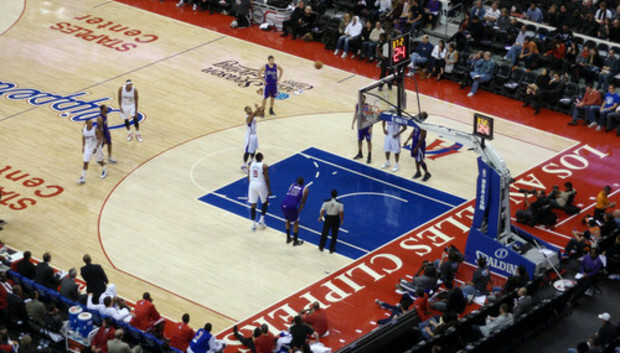 Forbes pegs the value of the Los Angeles Clippers at $575 million, but that may be a conservative estimate, especially in light of the fact that the Milwaukee Bucks and Sacramento Kings have sold for $550 million and $534 million, respectively, in recent years. What's more, the rights to broadcast Clippers games on TV come up for bid after the 2015-16 season, meaning whoever owns the team by then is due for a big payday, given the value cable channels place on sports programming these days. Bottom line: Most experts expect the Clippers to command a sales price topping $1 billion when all is said and done. It's unclear if NBA rules specifically bar the kind of ownership setup Nguyen and his fellow fans have in mind--we've put in a call to the NBA to ask but have yet to hear back--but Neil deMause, a writer who specializes in the economics of sports, noted in a SportsOnEarth column earlier this year, that leagues have been less-than-welcoming toward the thought of fan ownership: "Existing team owners absolutely hate the idea of letting representatives of the outside fan world into their little club... and also aren't crazy about team finances becoming a matter of public record." Nguyen is realistic about the challenges, but remains optimistic that the crowd will rally at a chance to turn a basketball team into a community-owned asset. "It's a monumental task," he conceded. "But bigger things have been done in the world." At any rate, there's little risk to you, the would-be co-owner of the Los Angeles Clippers. If the bid doesn't go through, you won't have to part with any of your money. And should the Crowdtilt campaign beat the odds? Well, you've not only made history, you've now got an in with the likes of Chris Paul and Blake Griffin.